Rob is a business lawyer who is adept at negotiating and documenting complex transactions on the front-end, and litigating disputes on the back-end. That rare combination stems from the nearly two decades he spent straddling the bankruptcy and real estate departments with some of the world's most prominent firms. He often led or would co-lead litigation matters and distressed M&A deals that would ensue from business reorganizations, while also having significant experience in UCC and real estate transactional matters. He is a relentless advocate for his clients, and has achieved the type of consistently successful results that enabled him to cofound the T&L firm so that he could serve his clients free of costly big firm overhead. In 2017 Rob successfully represented the defendants in an international trade dispute in the Eastern District of Pennsylvania (and the plaintiff in a related action in the Northern District of California), the plaintiff in a breach of loan and fraudulent inducement action in the San Francisco Superior Court, a long-time client in its defense of a premises liability suit in the San Francisco Superior Court, and a former employee in its appeal of an arbitration award. He also negotiated to resolution a years’ long dispute of revenue attribution under a long-term contract, the global settlement with a debtor under its confirmed chapter 11 plan, advised in the wind-down of an operating business division with hundreds of employees involving both state and federal WARN issues, negotiated and documented the reorganization of several millions of dollars in defaulted loans, and represented tenants and landlords in a variety of commercial lease transactions. In 2016 he represented the founders and former CEOs and directors of two technology firms in connection with their respective disputes with investors and board members and, separately, the majority owner, creditor and board holder of a distressed portfolio company to help structure and implement the withdrawal of financial and joint-operational support, resulting in millions of dollars in saved and paid compensation to his clients. Having been engaged after judgment was entered against his clients, he represented the general partners of a chapter 11 debtor in their dispute with former partners, where he achieved a settlement that shifted payment responsibility from his clients. He also closed on the sale of just under seventy franchised restaurants for a national restaurant chain, represented the buyer in its ABC asset purchase, obtained a judgment against a borrower and its guarantors that led to full payment after execution remedies were sought, closed over a dozen commercial and real estate construction financing transactions, and represented the court-appointed referee in a contentious real estate partition sale dispute. Rob has represented clients who lease, sell, and purchase commercial and hotel properties across the country, both in and outside of bankruptcy. He led the chapter 11 sales of five operating plants of a billion-dollar beef processor. When his client defaulted on its senior loan facility, he negotiated a leveraged takeout financing to allow the company to remain in compliance under critical supply agreements. He led a group of syndicated lenders to replace the borrower's former management with a chapter 11 trustee, and then devised and implemented a plan to foreclose on over thirty commercial and industrial real estate projects. He advised his venture investor client to transition equity financing to a secured loan facility, and then structured the successful credit-bid acquisition of critical IP over the objection of former management. Rob has advised Total Gas & Power, Wells Fargo Bank, U.S. Bank, SunPower Corporation, Apple Inc., MasterCard, University of San Francisco, Kimpton Hotels, Strategic Restaurants Acquisition Company, and several private equity funds on a variety of matters; earlier in his career he regularly represented Countrywide Corporation, Washington Mutual Bank, Credit Suisse, and Dine, S.A.B. de C.V. And, he has represented several significant hotel properties in disputes and transactions. He was part of a three-member team that sold San Francisco's Mandarin Oriental Hotel, which received an industry award for complexity and deal size. He has also represented debtors, trustees, lenders, investors, contract counter-parties, and receivers, in almost all aspects of a bankruptcy case and state court insolvency matters. Rob frequently presents for organizations and institutions on a variety of topics, including chapter 11 and workouts, structuring loan transactions, title insurance, supply chain protection, asset acquisitions, board duties, receiverships, and negotiation and litigation strategies. He is a former member of the California State Bar's Uniform Commercial Code Committee, where he helped draft that Committee's Hidden Liens Report for use by commercial law practitioners. 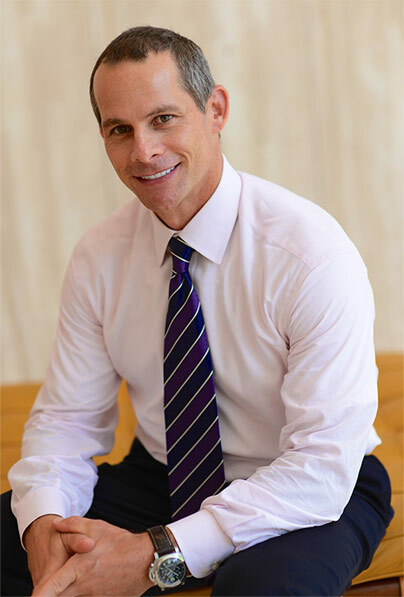 Before law school Rob worked as a commercial lender at Union Bank (having graduated from its distinguished commercial lending program), as a lender in the home-builder finance group at Security Pacific Bank (and its successor, Bank of America), and as an analyst for a middle market M&A firm. He also cofounded and later sold an apparel design and manufacturing business. Rob lives in Marin County, where he supports Mt. Tam School and is an avid hiker and mixed martial arts enthusiast. "Did Jevic Provide a Gift for Those Who Want to Give One?," XXXVII American Bankruptcy Institute Journal, July 2018, available at abi.org/abi-journal or #Jevic article. Skipping Priorities in the Post-Jevic World, Commercial Law and Bankruptcy Section, Bar Association of San Francisco, April 2018. Charting Recent Trends in 363 Sales, 29th Annual Insolvency Conference, California Bankruptcy Forum, May 2017. Lead Presenter on the U.S. Supreme Court's 2017 decision in Czyzewski v. Jevic Holding Corp., and its potential effect on 363 sales and the doctrine of "gifting." Lessening the Stress from the Distress - Practical Advice to Directors on Whether and When to Resign from Troubled Companies, Commercial Law & Bankruptcy Section, Bar Association of San Francisco, February 2017. Loan Administration and Documentation - Tips from the Trenches, presentation to homebuilder finance group, summer 2016. Understanding Title Insurance and Endorsements, presentation to Wells Fargo Bank, fall 2015. Practical Negotiation Strategies for Technology Companies, presentation to Yahoo!, spring 2015. Winding Up for the Wind Down: Managing Risk and Creating Opportunity through an ABC, Commercial Law & Bankruptcy Section, Bar Association of San Francisco, October 2014. Client internal White Paper, Navigating the Employer Mandate Under the Affordable Health Care Act, March 2014. Jones Day Commentary, Expansion by the Acquisition of Financially Distressed Health Care Facilities and Companies: Opportunities and Challenges, co-author, September 2013. The Loan to Own, The Deal Pipeline, March 13, 2012. Frequent speaker at client and internal law firm "lunch and learn" presentations, on topics relating to real estate, loan workouts, commercial and real estate lending, negotiations, supply agreements, bankruptcy, purchase and sale transactions, liquidation alternatives, receiverships, and assignments for the benefit of creditors. Healthcare Roundtable, Presentation to Annual Meeting of Healthcare Chief Financial Officers on healthcare M&A opportunities and strategies, September 2013. Bay Area Legal Forum, Unraveling the Mysteries of Bankruptcy, April 2012. The 1111(b) Election, Commercial Law & Bankruptcy Section, Bar Association of San Francisco, 2009. The Subprime Financial Crisis - How Far and How Deep Will its Impact Reach?, Commercial Law & Bankruptcy Section, Bar Association of San Francisco, 2008. California's One Form of Action Rule, Annual Meeting of Arizona State Bar, 2008. Hidden Liens, Annual Meeting of California State Bar, fall 2008. Risky rise: When fast growth jeopardizes a company, San Francisco Business Times, available at https://www.bizjournals.com/sanfrancisco/blog/2012/10/risky-rise-when-fast-growth.html.